I had the pleasure of attending an event last Thursday in London hosted by a tech company in the marketing technology space. The event focused on data orchestration using customer data to deliver personalisation at scale. This can be applied to various industries with the right technology and very importantly, the right skillset and driver of that technology. 1. The obsession with analyst reports. The big ones come out yearly and quarterly in Quadrants and Waves (you know the ones I mean) but for the majority of small to mid-sized tech companies, it is totally unattainable to be featured on- either due to lack of budget, lack of client base or lack of rubbing shoulders with the right people. Publishing regular content that pairs your company's offering with your prospect's challenges can add just as much value over the course of the year. 2. Lack of size and scalability. It is worth remembering that some prospects don't think that bigger is better and quite commonly have had a bad experience with account management or service levels. This can be combatted by outsourcing and partnering with specialist 3rd parties that act as an extension to your own company and add another layer of expertise not to mention adding an important source of new leads. Combining forces is the sensible way to scale but pick your partners wisely. 3. The market is too saturated. It is a crowded market, but it should be remembered that there are plenty of buyers with large enterprises often employing multiple vendors still. This is also where a well thought out account based marketing plan will reap the rewards for marketing and new business teams. Picking out 10 target accounts and mapping them out correctly is a great way to start. 4. We don't have collateral to compete. With larger companies come larger budgets, snazzy presentations and beautifully crafted leave behinds, not to mention a whole raft of white papers. Everyone is too busy to read them in this day and age, smaller companies are far better off adopting a 'distributed leadership and distributed expertise approach' by giving a voice to their experts. 200-300 words of valuable insights are far more likely to be read than a long white paper that often needs to be summarised. 5. Winning new business has become much harder. This is true to an extent when taking into account that there is more competition out there but also that the larger players often have one foot in the door with a bit of CRM kit for example. This is coupled with the fact that the buyer is already much further down the buying journey. A mindset change of shifting left to meet the buyer earlier in the sales cycle as well as adopting new and more tailored sales approaches such as embracing social platforms will breath new life into an outdated selling process. Looking to overcome these five challenges will certainly help small to mid-sized tech companies when trying to compete. 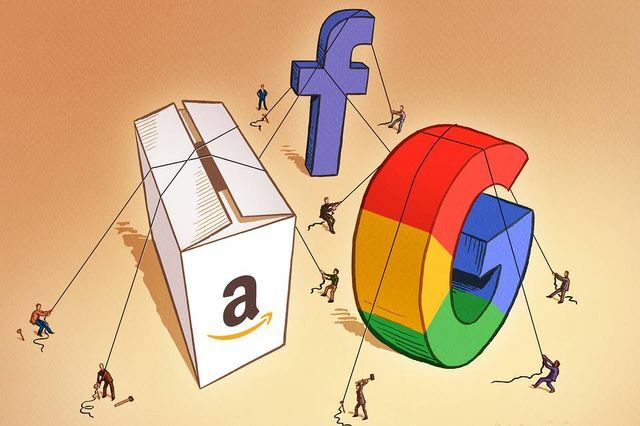 If acquisition is the goal all along, then what better way to get on a tech giants radar than beating them to a piece of business. Scott Brinker has been tracking marketing technologies since 2011 when he first published the now famous landscape containing just 150 technologies.